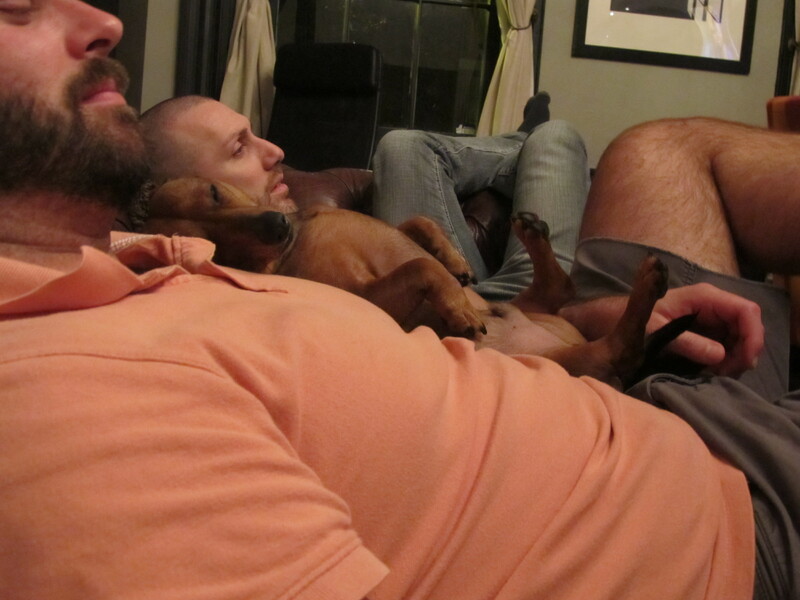 Whew – what a week….Sorry I’ve been absent for a while. Work has been occupying my time. 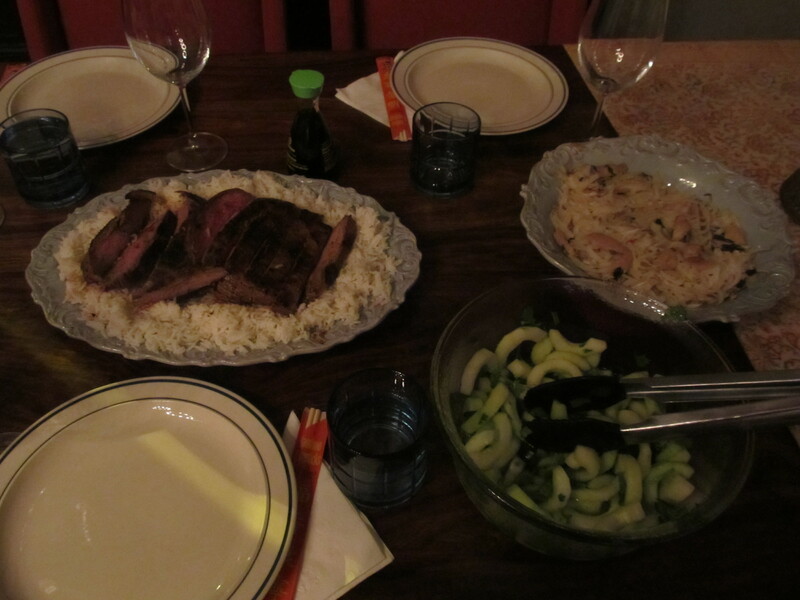 Anyway, Last weekend was John and Jeff’s turn to host Supper Club – THAI FOOD! I absolutely LOVE thai food so I was definitely excited. 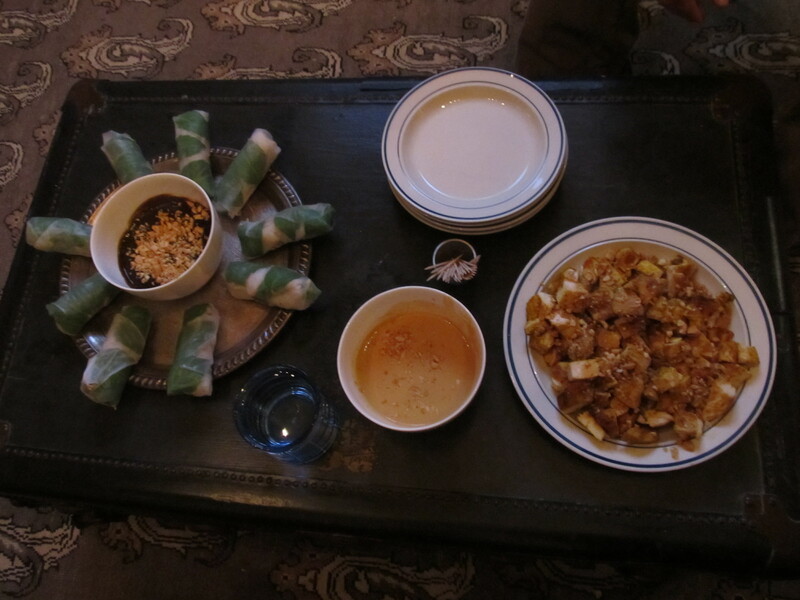 We walked in the door to some authentic thai music and a slideshow of travel pics from Thailand (google does wonders!) on the tv. And out came the appetizers. They were delicious! 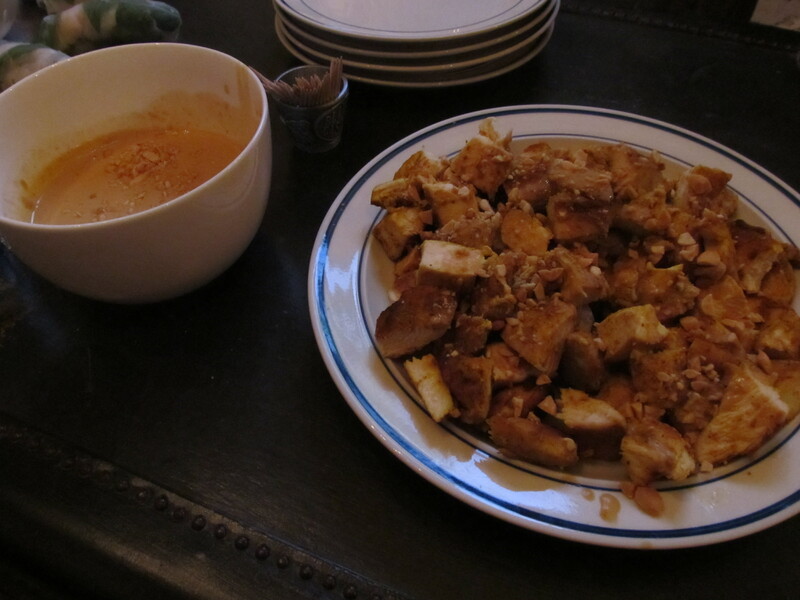 The first one was Satay Chicken – minus the sticks and long pieces of chicken. It was served with a peanut sauce that was to die for. We couldn’t get enough of the peanut chicken. 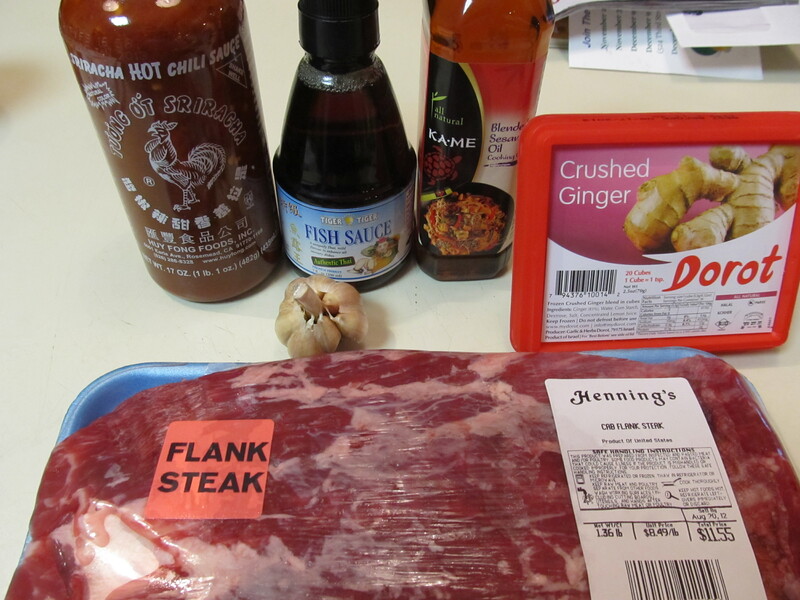 I snagged the recipe so I could make at some point in the near future. 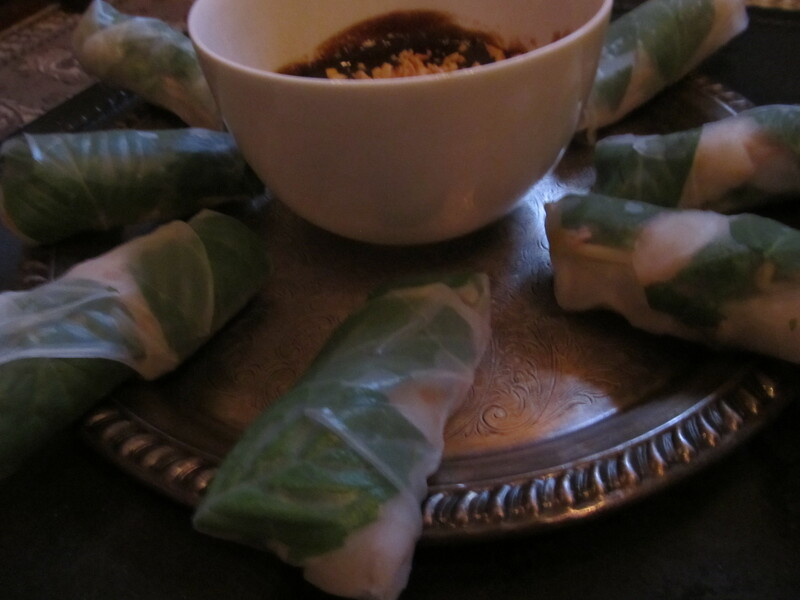 He also served us the most amazingly fresh and delicate thai basil shrimp spring rolls with a peanut-hoisin sauce. Look at how fresh they look. 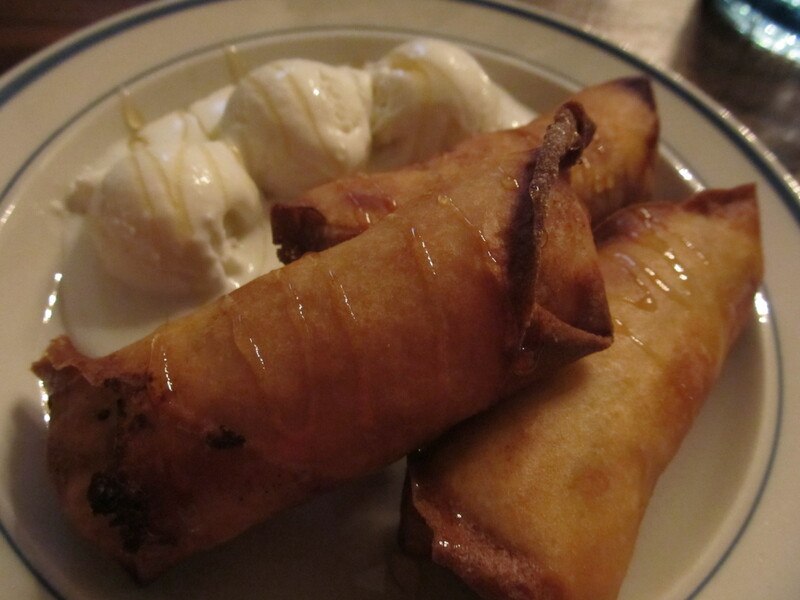 I think these were the unsung dish of the night – John really outdid himself. We had to let our apps digest a bit before starting on dinner. So we enjoyed the Thai Picture Slideshow. Pretty soon, dinner was served! 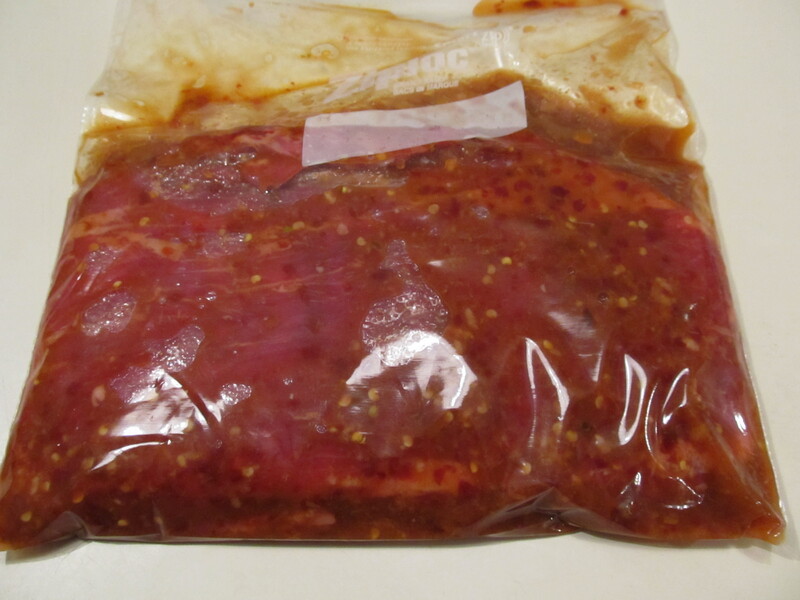 We had Asian BBQ steak that had a marinade made of sriracha and fish sauce (amongst other flavors) that was absolutely delicious. It was the perfect amount of spiciness. 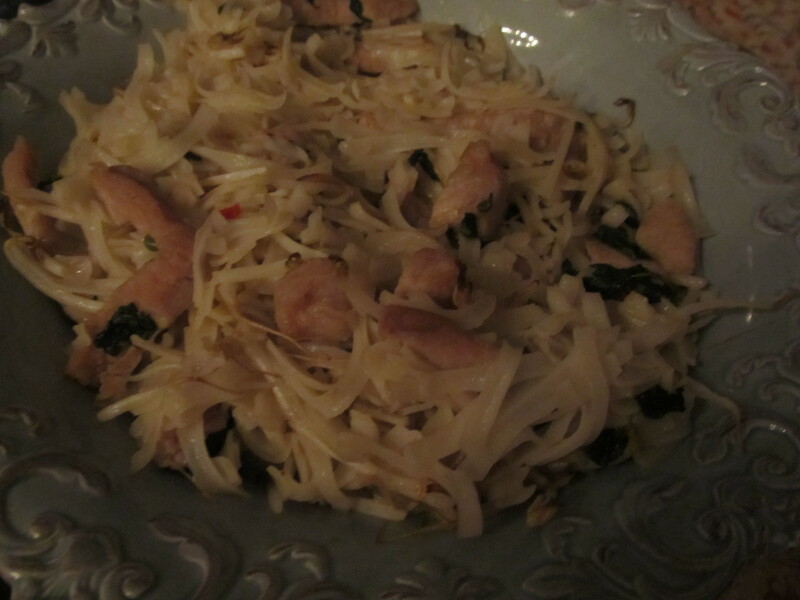 We also had Pad Kee Mao – which translates to “drunken stir fry” with pork. 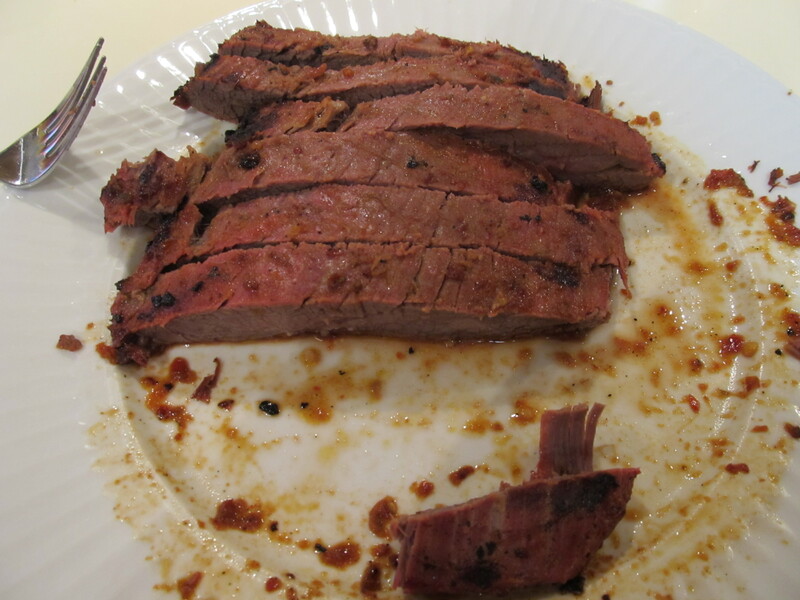 It was delicious and full of delicate thai flavors like basil and spicy pepper. 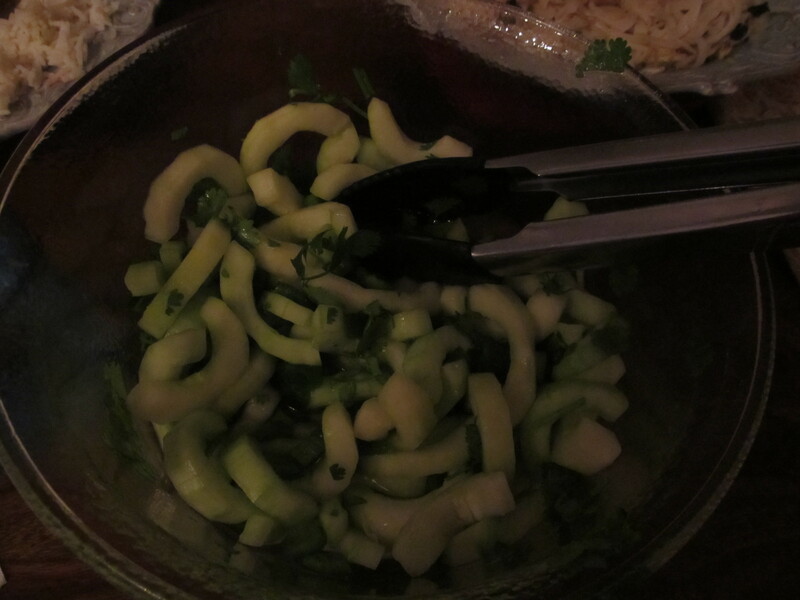 And on the side, John made a delicious cucumber salad with cilantro and jalapeno and rice wine vinegar. It was so refreshing and yet so simple. I really really enjoyed it! 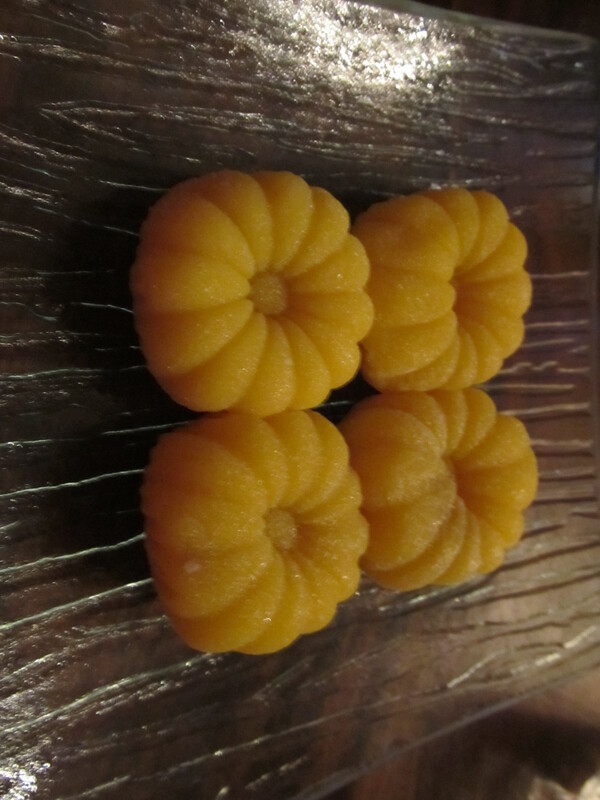 Jeff put out this little plate of 4 interesting-looking cookies or pastries or something. We didn’t know what to make of it but we tried one! It was weird. It was supposed to be a mango thing. 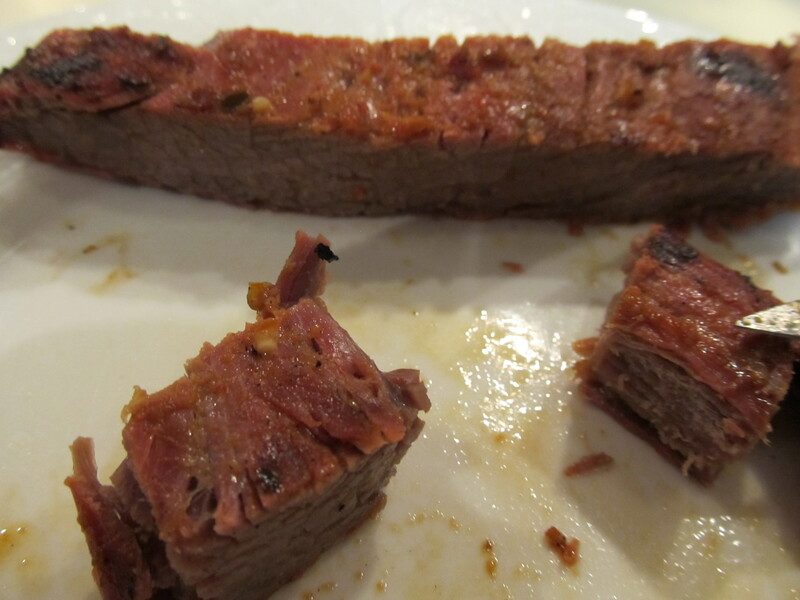 But the texture was so bizarre and the taste was lacking. Then we found out that it was a joke – John bought them for Jeff and they knew they were weird! Then, of course we had to play with them a bit….. 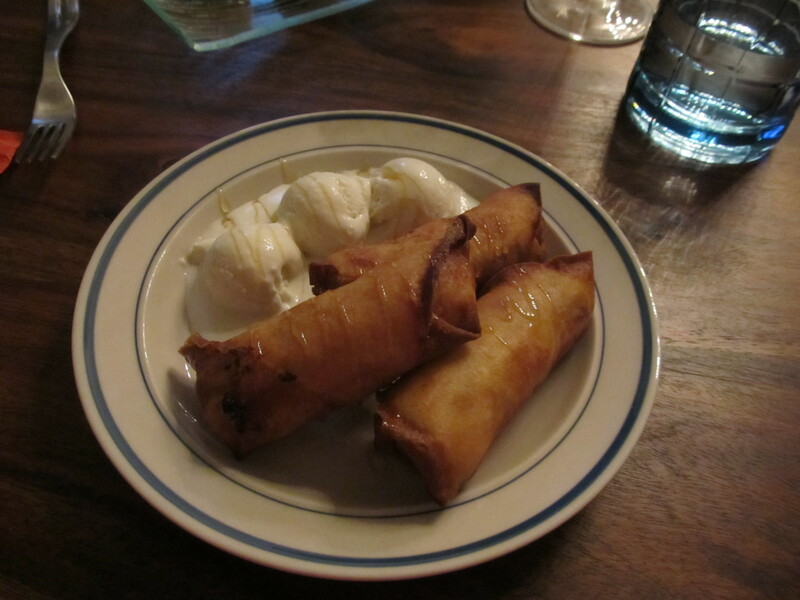 So then Jeff went to assemble our real dessert – fried bananas with coconut ice cream. 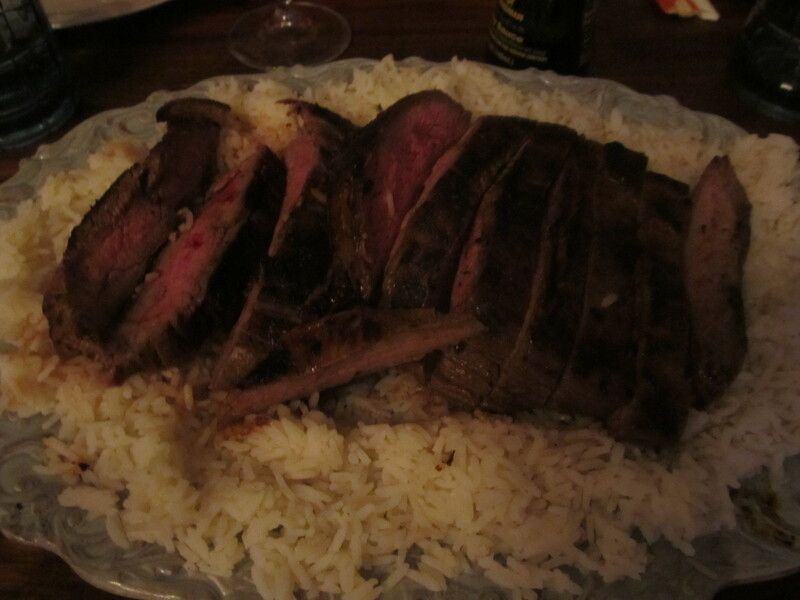 It was not only visually stunning, it tasted AWESOME!!! It was the perfect way to end a delicious dinner. 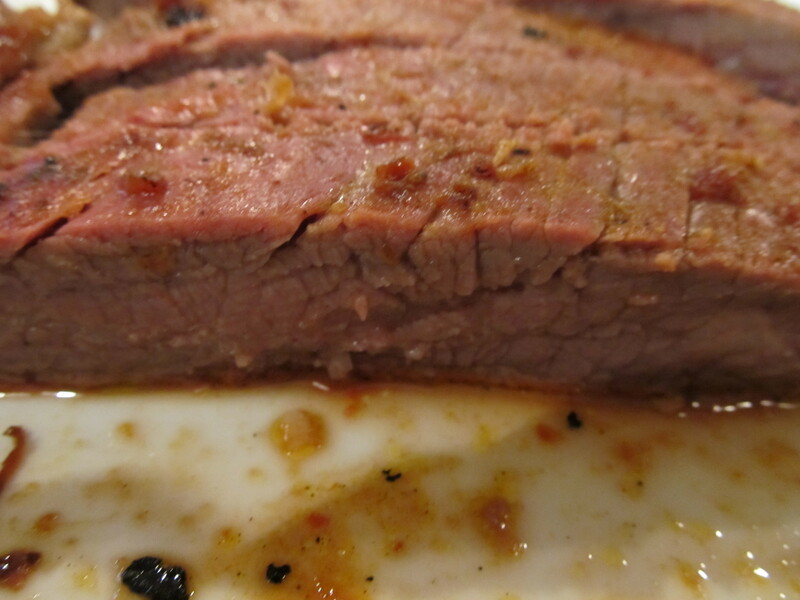 Here is a closeup – delicious and crispy on the outside, soft and sweet in the middle. That’s what she said! 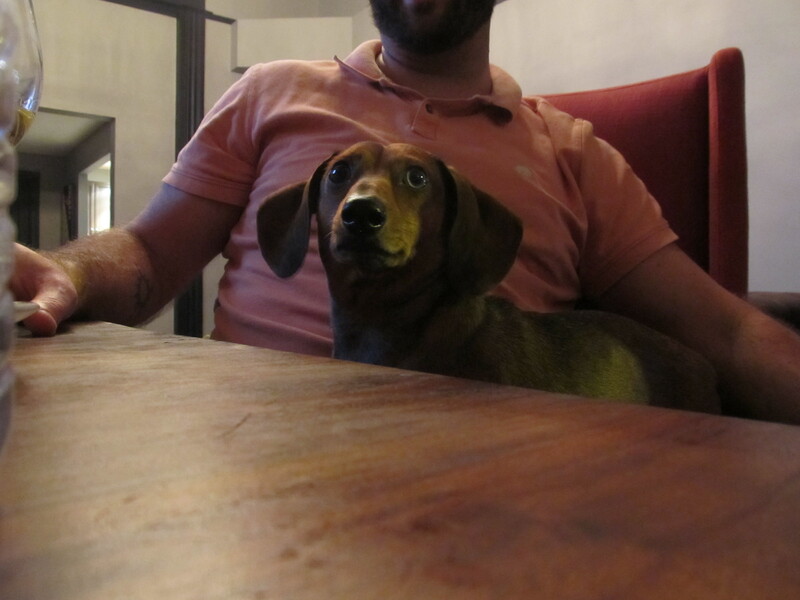 And afterwards we relaxed, as you can tell by these shots of Austin…. Hahahahahahaha well done boys! 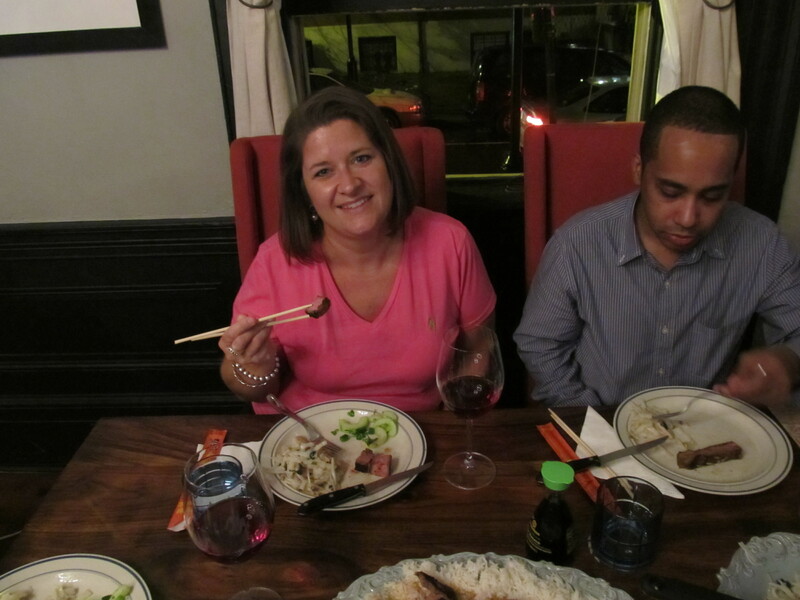 It was an awesome night of food and laughs. Next month: Mexican at my house!